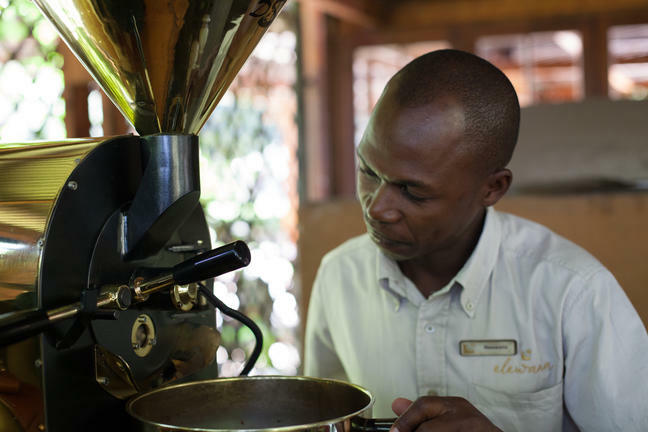 Located in the middle of a verdant coffee plantation, Elewana Arusha Coffee Lodge is a sanctuary of aromatic tranquility and a welcome retreat after a long international flight, or the dust and excitement of a thrilling bush safari. 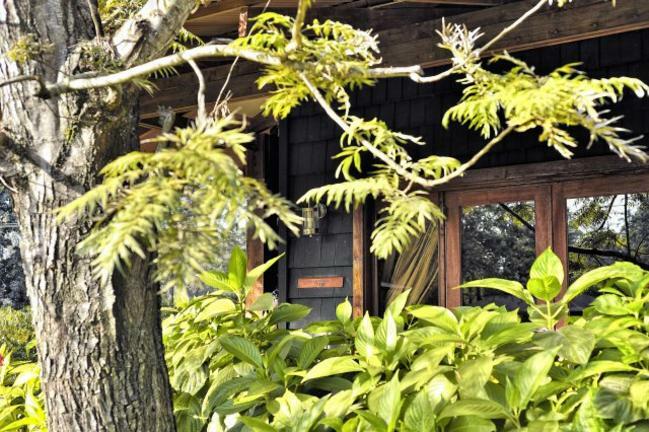 Take residence in one of 30 luxury wooden chalets - 12 Plantation Suites and 18 Plantation Rooms - nestled amongst the surrounding gardens and sea of coffee trees. Turning off the road, a tree-lined drive guides you to the warm and inviting main area with its quiet understated aura of luxury. Vibrant gardens, a spa, and a swimming pool await, and a restaurant, Bacchus, and café bistro, 3° South, boast menus to satisfy the most discerning of palates, successfully fusing international culinary prowess with locally-sourced ingredients. Visitors are also welcome to enjoy convenient gift shopping at the Traders Walk Boutiques, located on site. Browse through a collection of five boutiques offering arts and crafts, jewellery, clothing, gourmet coffee and cakes and traditional Swahili food. 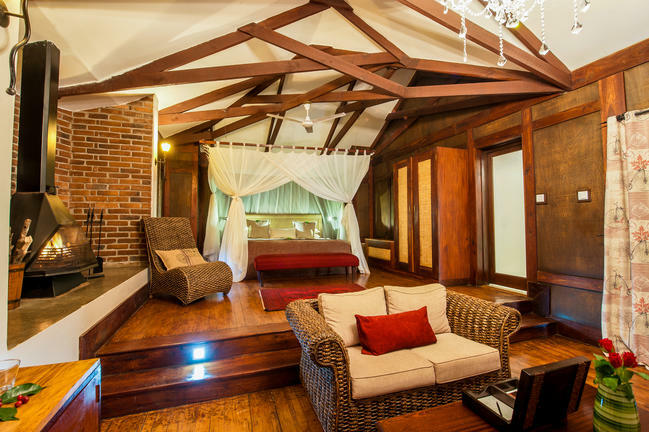 The 12 Plantation Suites are spacious, modern yet homely retreats among the coffee trees. 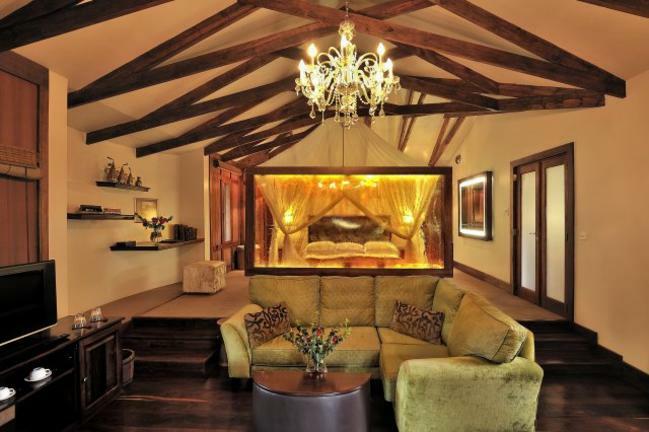 With a soothing rainfall shower and generous bathtub, a private outside terrace with log fire, a 32” TV with satellite service and attractive décor reflecting the omnipresent theme of coffee, a Plantation Suite invites guests to relax and unwind. 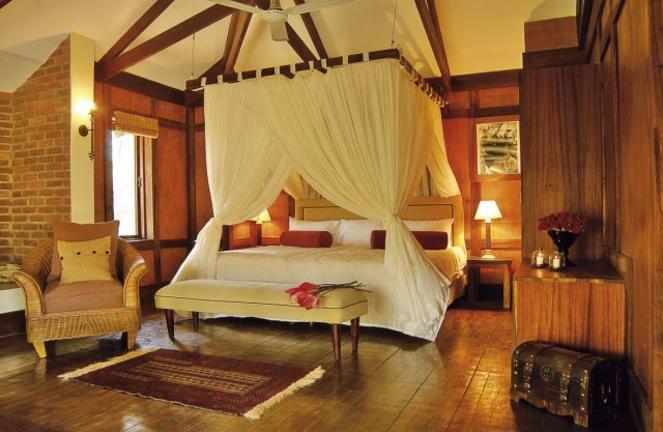 The 18 Plantation Rooms are cosy and comfortably furnished rooms nestled among the aromatic coffee trees. 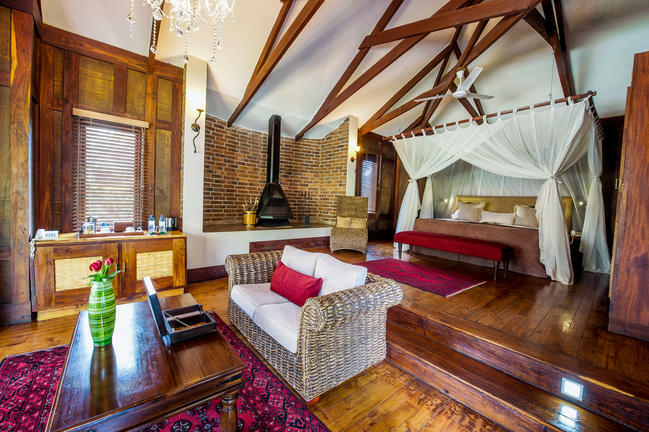 A welcoming atmosphere greets guests, who enjoy an inviting in-room log fire, en suite bathroom with shower and bath, and a verandah overlooking the surrounding green coffee garden. 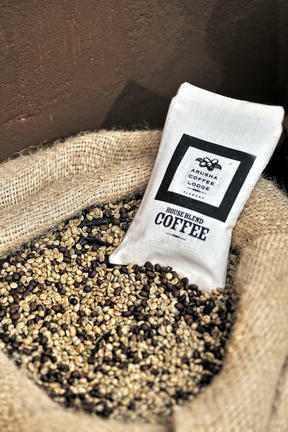 Take a guided walk around the workings of the coffee plantation to see how the coffee is grown, harvested, dried, and produced into the aromatic coffee that we drink every day, culminating in that all-important coffee tasting! Tours are an additional cost to accommodation. 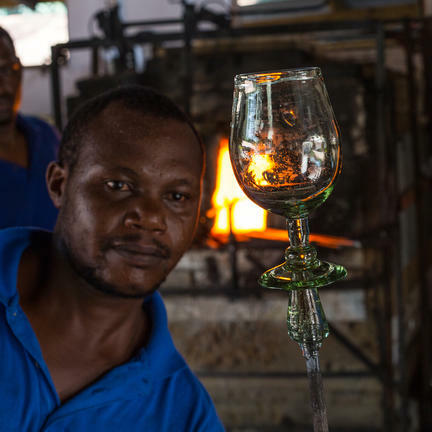 The Trader's Walk is a collection of 5 boutique shops and gourmet food places within the ground of Arusha Coffee Lodge showcasing some of the best creativity and ingenuity of Tanzania. 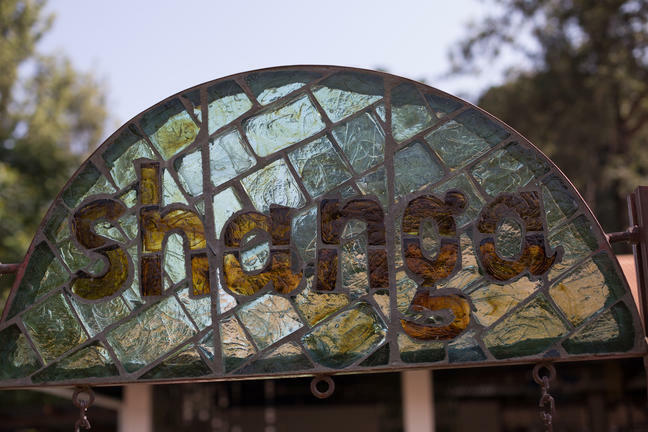 Shanga - A workshop creating gift arts and crafts. 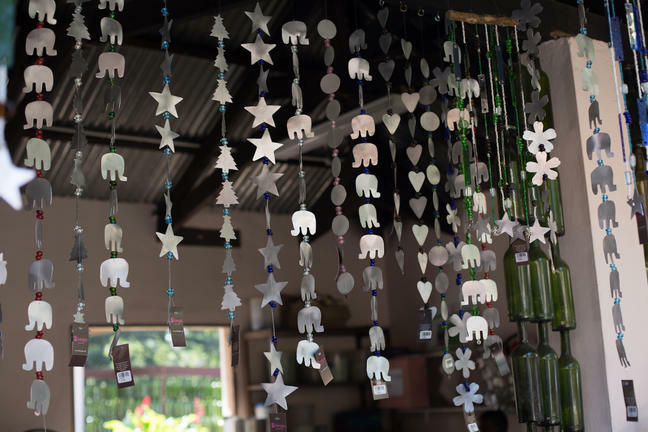 Watch beautiful jewellery, arts and crafts being created out of recycled materials. From safari clothing to wonderful keepsakes and gifts. 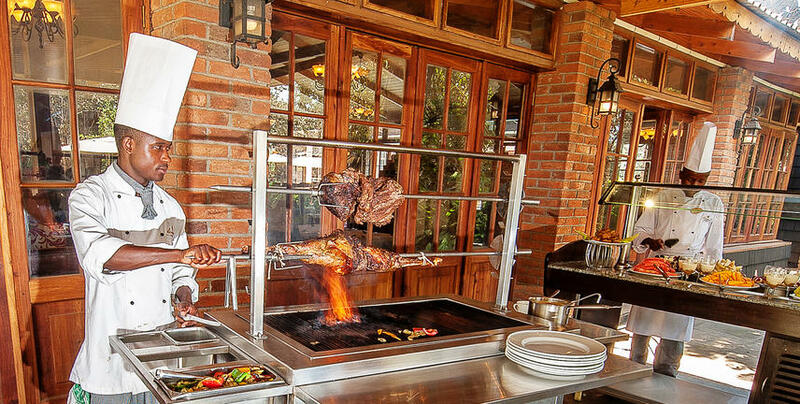 An open-to-air restaurant with traditional Swahili food on offer. Tanzanite Experience specialises in authentic, ethically-mined Tanzanite gemstones and jewellery. Tanzanite, a beautiful blue stone, is said to be a 1000 times rarer than diamonds. 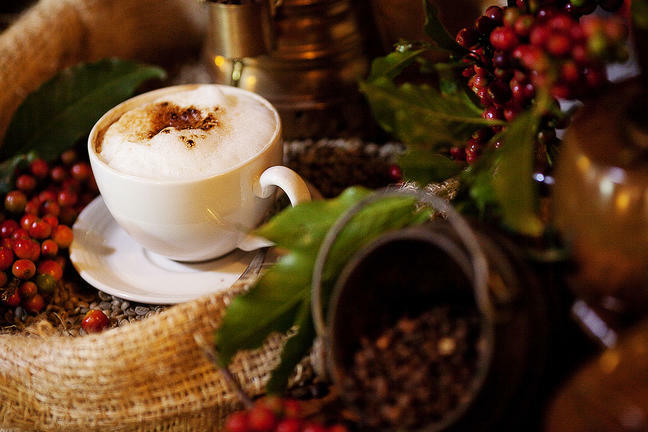 A delightful gourmet cafe selling freshly ground coffee and fresh-baked cakes either 'to go' or served on Kahawa's shaded terrace. 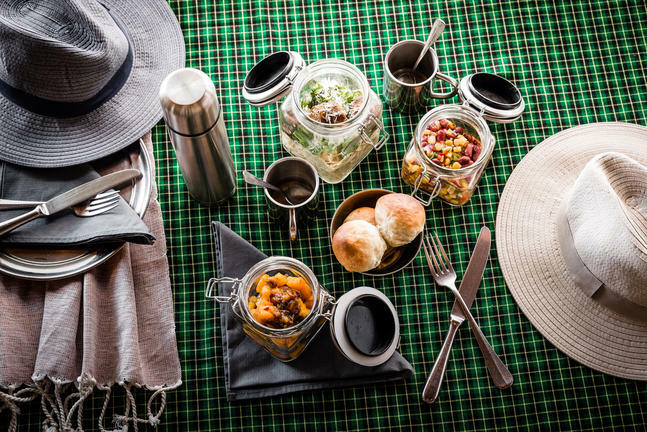 Take a picnic lunch and enjoy an excursion to the slopes of Mt Meru where Arusha National Park is located. The park enjoys an abundance of birdlife, and quite a variety of wildlife. The landscape within its relatively small 137km2 is impressively varied and offers some spectacular views. 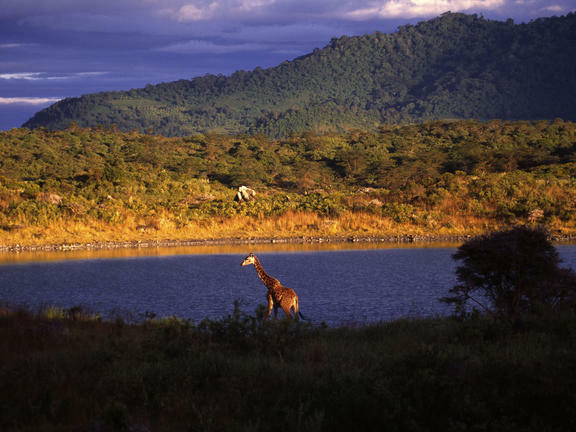 A day excursion to Arusha National Park is an additional cost to accommodation. 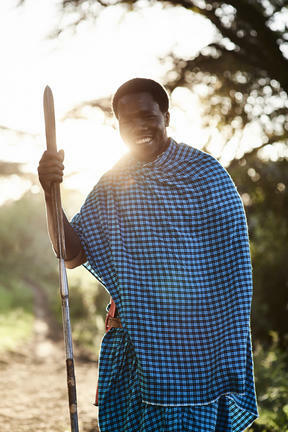 Arusha is a bustling town with one of the fastest growing populations in Africa. 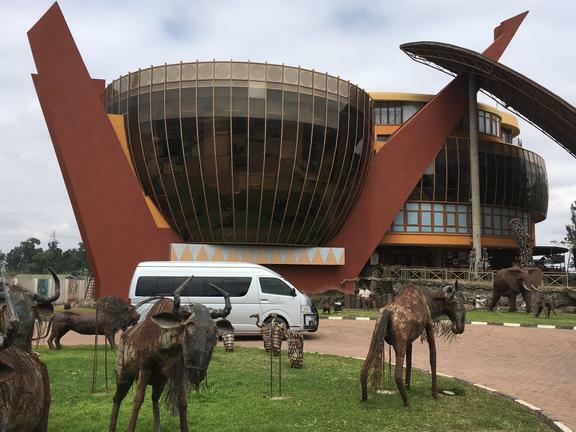 Shopping and cultural experiences are on offer, including Masai Markets, the Tanzanite Museum, Museum of Natural History and Arusha Cultural Heritage Centre, plus a variety of boutique gift shops, cafes and restaurants. City tour of Arusha is at an additional cost to accommodation. 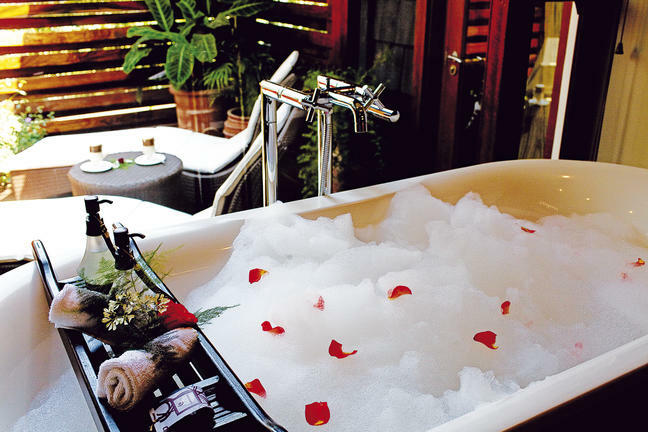 Indulge in a pampering and relaxing treatment at Peaberries. 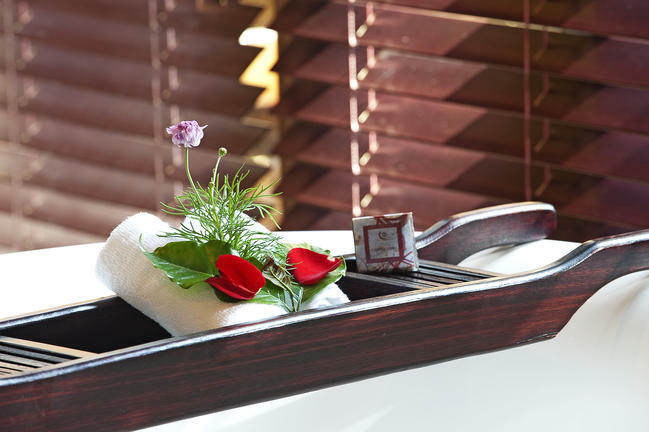 Select from bouquet of treatments, including massages, pedicures, manicures, waxes and facials. 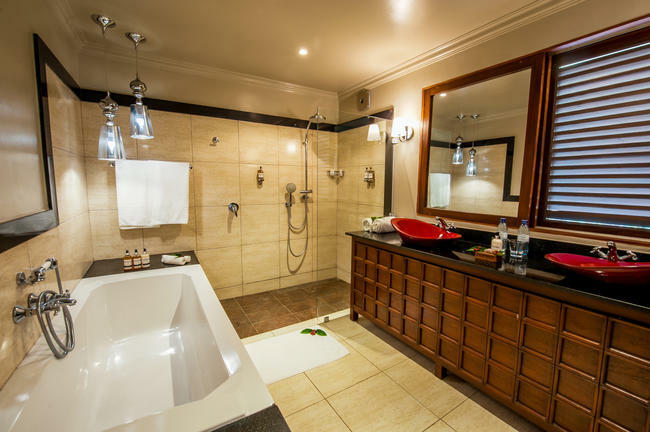 Spa treatments are not included in accommodation price. 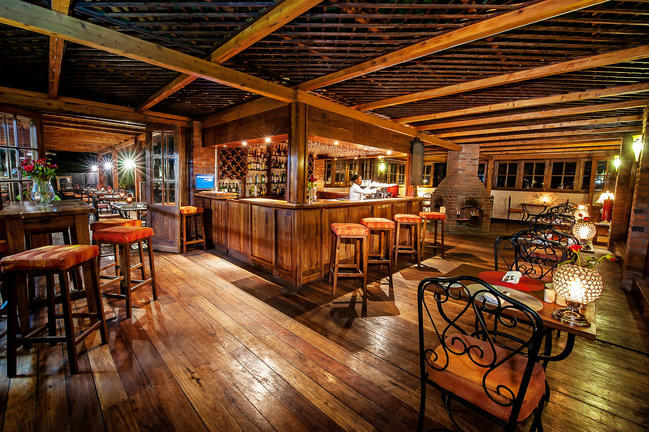 Taking its name from the Roman god of food and wine, Bacchus is located within the main house at Arusha Coffee Lodge. 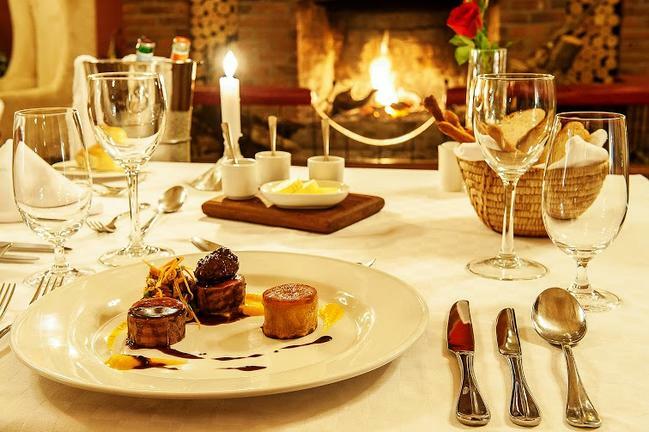 This a la carte menu, created and devised by our Executive Chef, pays homage to international gourmet and culinary techniques whilst featuring the very finest in fresh, locally sourced produce that in turn enhances each dish with that all-important local flavoring, all complimented an extensive wine list. With indoor and garden terrace seating available, and serviced by its very own bar, coffee station and wood fired pizza oven, ‘3 Degrees South’ cafe bistro serves a rich variety of goumet dishes all prepared using the very best of fresh, locally sourced produce. Every day an extravagant buffet luncheon is served in the cool, manicured gardens. Sanctuary Swala’s welcoming communal spaces blend chic style with relaxed open-air living. Traditional peaked thatch roofs harmonise beautifully with the surroundings bush and keep these areas cool in the hot months. 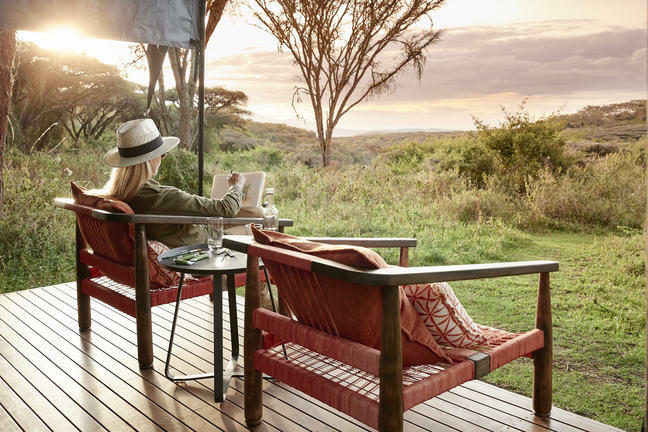 Set on stilts around ancient towering baobab trees, the elevated dining area, lounge and library, are sound-tracked by the sing-song of the hundreds of species of birds that have their home in the mature acacia trees’ canopy. Complimentary Wi-Fi is available in the main area and in guests' tents. 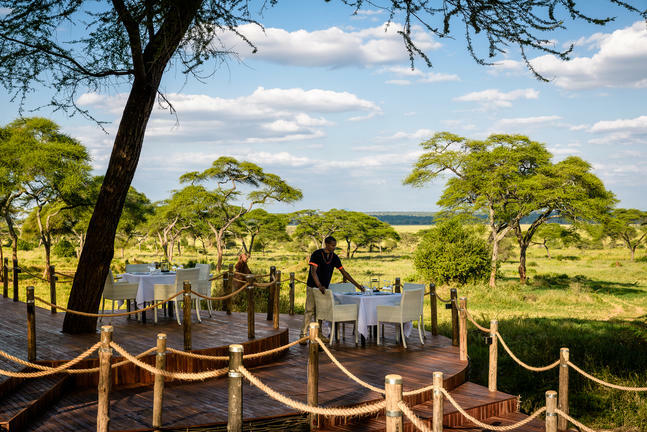 Twelve spacious canvas pavilions ensure unrivalled tranquillity, overlooking a popular watering hole. King-size beds swathed in neutral linens mingle fresh design with a new take on safari living. 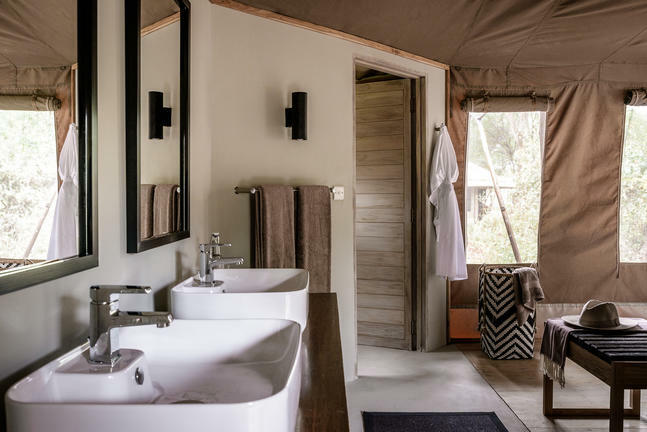 Indoor and outdoor bush-view showers ensure more magical moments because connecting with wildlife is key: the floor-to-ceiling 180° views, and the pavilions’ private decks, mean you won’t miss a sight. 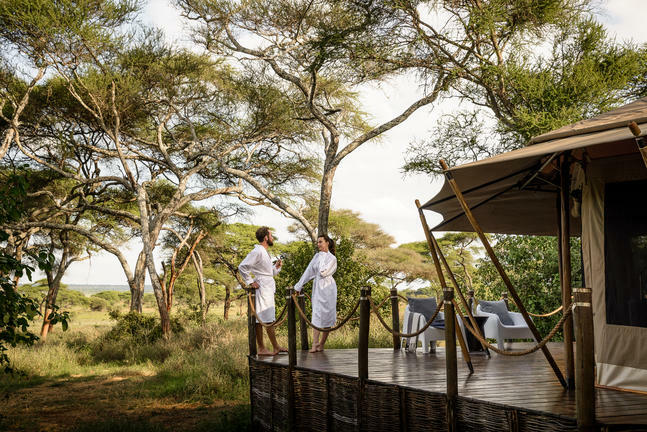 Twelve spacious canvas pavilions ensure unrivalled tranquillity, overlooking a popular watering hole. 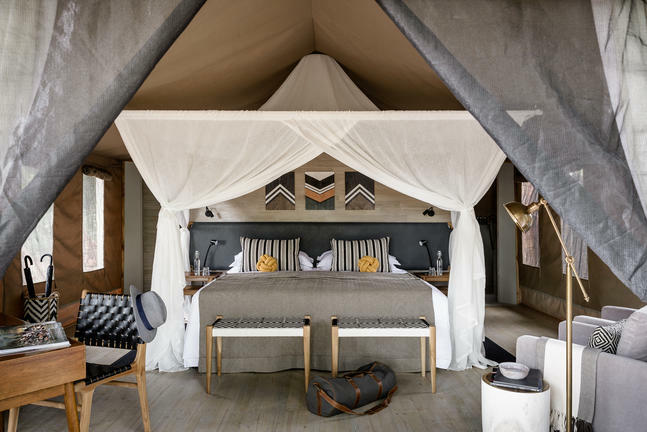 The wood-floored open-plan rooms have been staged with elegant neutral-toned interiors, matching safari-chic furnishings with rich African textiles, blending seamlessly with the raw and natural beauty of Tanzania’s cinematic savanna. King-size beds swathed in neutral linens mingle fresh design with a new take on safari living. 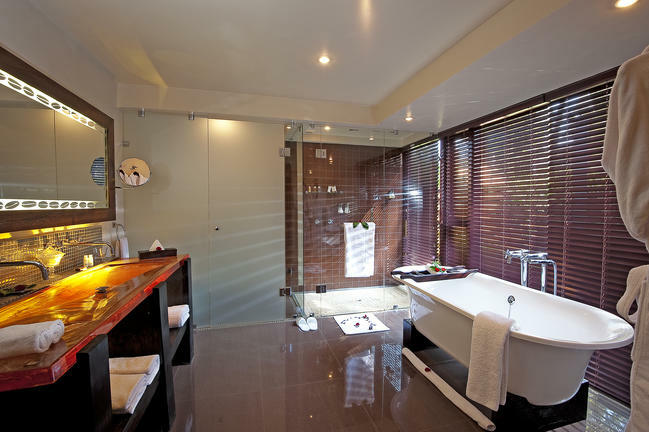 Indoor and outdoor bush-view showers ensure more magical moments because connecting with wildlife is key: the floor-to-ceiling 180° views, and the pavilions’ private decks, mean you won’t miss a sight. Intriguing art has been thoughtfully placed, and each furnishing considered based on its eco-friendly design; from repurposed artefacts to bespoke creations. 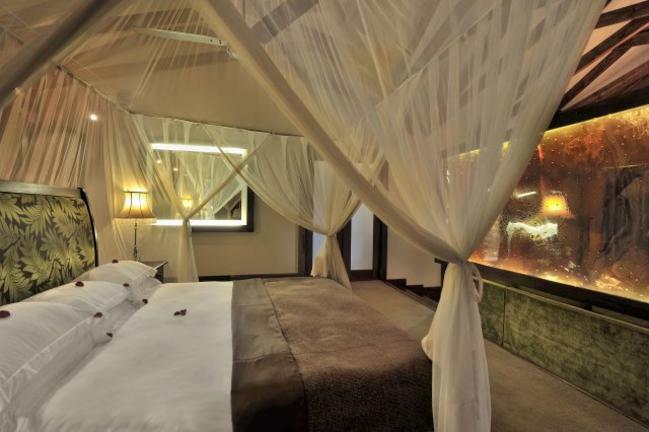 Sanctuary Swala treads with the lightest of footprints, without compromising on luxury. 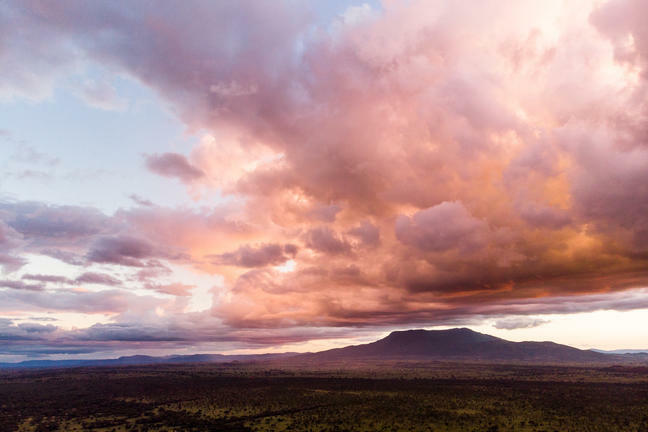 Sanctuary Swala is at the heart of Tarangire National Park, where Northern Tanzania’s largest population of elephant makes its home, as does a rare white giraffe. Abandoned termite mounds become the sanctuary of dwarf mongoose. 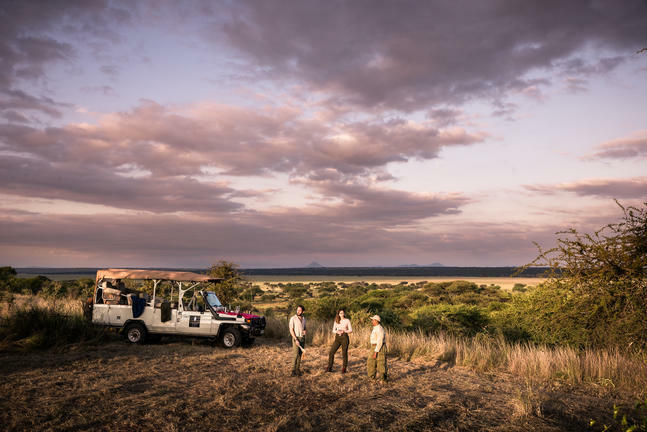 Drives out from Sanctuary Swala reward you with Big Five encounters, while herds of elephant, a crash of hippos and prides of lions all roam within sight and earshot of the camp. 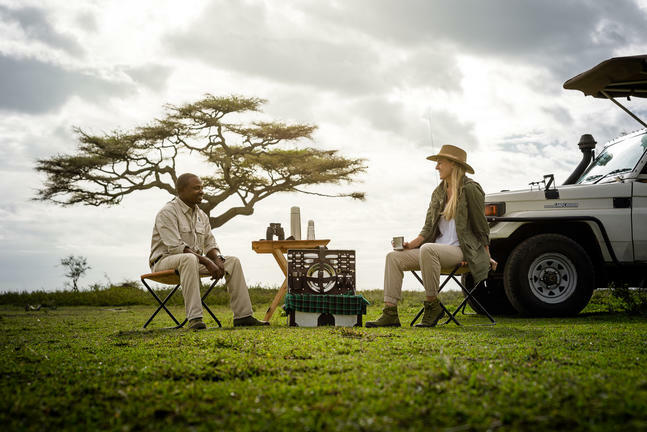 The low volume of visitors to the park offers a truly unique and private experience and our customised open safari vehicles offer unobstructed viewing and great photography opportunities. You may have decided with your guide to take a picnic breakfast or lunch with you but equally lovely in the evening is to enjoy a bush dinner. A secluded clearing is prepared for a traditional East African meal in the middle of the Tarangire bush. With a sundowner in hand watch as the sun swiftly sinks and your setting becomes illuminated by a magnificent log fire. Once you have settled into your surroundings let our chef introduce you to traditional Swahili fare and experience a memorable evening under the African night sky. Sanctuary Swala has developed a beekeeping project located in the village of Mwika on the border of Tarangire National Park. Through beekeeping we are able to preserve the natural environment while providing a valuable source of income to the community. Sanctuary Swala not only provided the village with the materials to make the hives, but with the knowledge and the equipment to keep bees which produce organic acacia honey. The honey that is harvested is sold through Sanctuary Swala with all proceeds going back to the project. 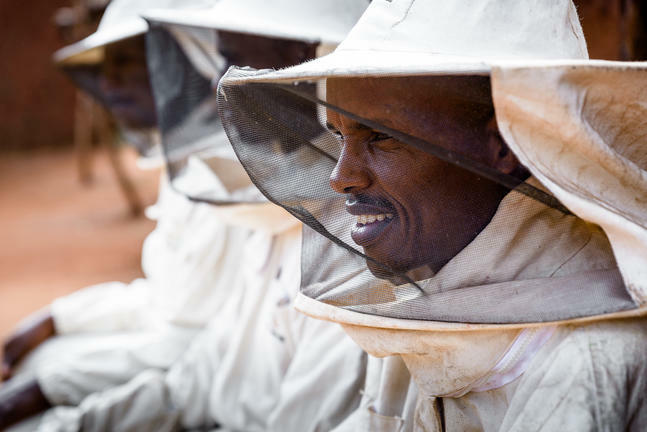 With the success of the first harvest of honey in August 2010 the project has plans to develop and grow to over 100 hives, providing more families with income from a traditional foodstuff. 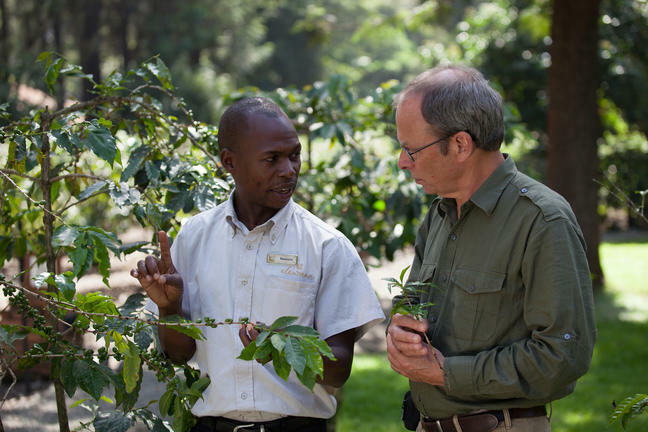 While at Sanctuary Swala you have the opportunity to meet with the beekeepers on a visit to Mwika village and learn firsthand how the project operates. Put on your walking shoes and experience beautiful Tarangire National Park from a different perspective with a walking safari at Sanctuary Swala. 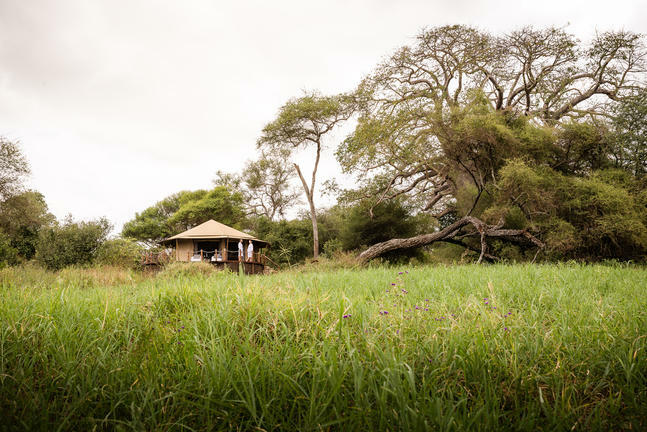 With our professional walking guide and armed ranger, guests can now explore the grassland around camp in one of the most secluded areas of the park. Our qualified guide has a wealth of knowledge and will explain how to understand animal behaviour while tracking a variety of game. You may encounter zebra, waterbuck, impala, ostrich, elephant as well as a number of birds. 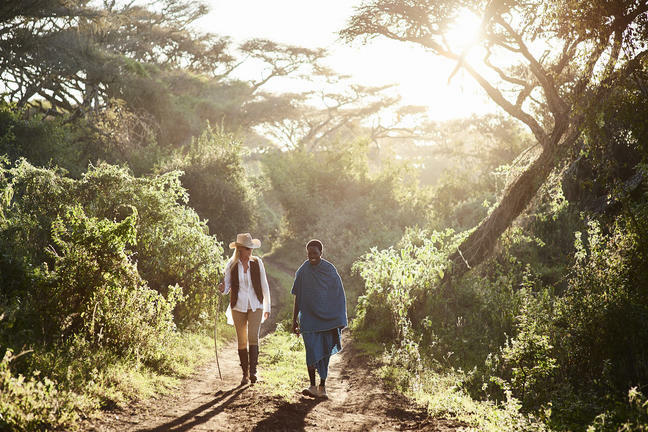 Sanctuary Swala is one of only a few camps within Tanzania's Northern Park that is able to offer walking safaris. (Maximum 6 people per walk, please note that our Walking Safari activity is currently unavailable and will restart at the beginning of the next dry season (15th July 2018)). 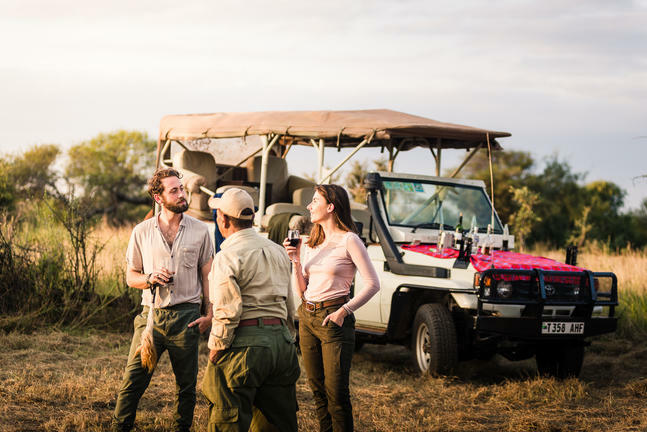 As evening sets in, enjoy drinks and canapés around the camp fire; followed by a three course plated dinner as you discuss the great game viewing and events of the day. The camp's signature dish - and a definite favourite amongst guests - is our mouth-watering dessert called "Chocolate Kilimanjaro." It resembles the white snow-capped peaks of Mount Kilimanjaro and simply melts in your mouth - but don't take our word for it, try it for yourself when you visit this very special camp. If you are celebrating a special occasion we could arrange a private dinner under the stars on your tent deck. 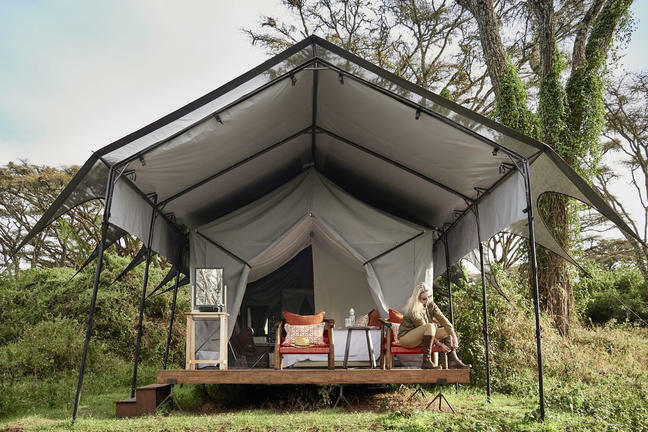 Sanctuary Ngorongoro Crater Camp comprises ten luxury safari room tents – each with its own ensuite bathroom and indoor bucket shower. The room tents also feature hairdryers, plug points and a small sitting area in front of each of the tents. The three large and comfortable communal tents provide a dining area where scrumptious meals are served, a lounge area perfect for afternoon relaxation, and lounge bar where pre-dinner drinks are served. All of the main areas include breathtaking views of the spectacular surrounding scenery and large trees surrounding this intimate camp. For a more intimate experience you can choose to dine on individual tables set in special spots around the camp. 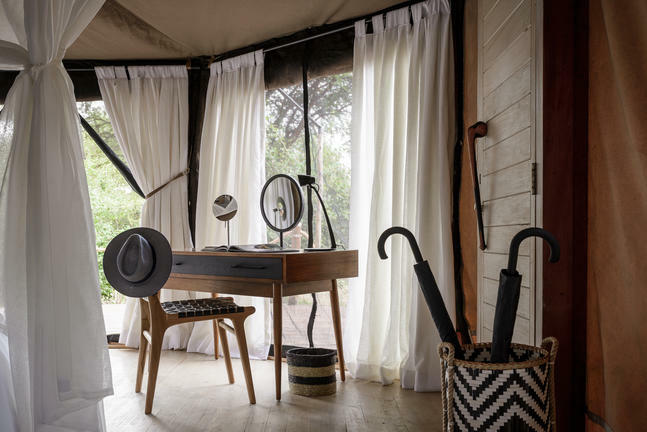 The camp offers ten classic safari room tents - each with its own en-suite bathroom and indoor bucket shower, with personal tent attendant filling your bucket shower to the perfect temperature whenever required from the outside. 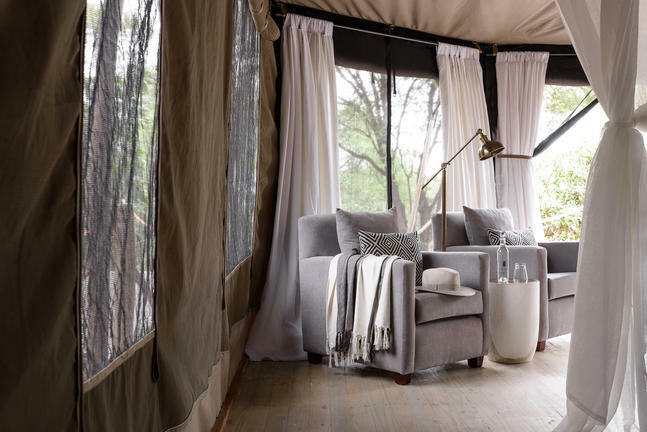 The room tents also feature hairdryers and plug points and a small sitting area in front of each of the tents where early morning coffee and biscuits can be enjoyed before starting the day of incredible game viewing. The main common areas include a dining area, bar area and lounge area as well as comfortable sofas placed in specially-selected locations around the camp. 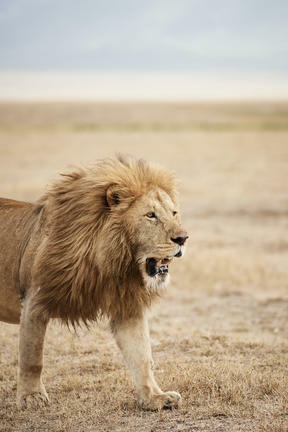 Enjoy thrilling game drives lead by highly qualified guides in closed 4 x 4 game viewing vehicles. 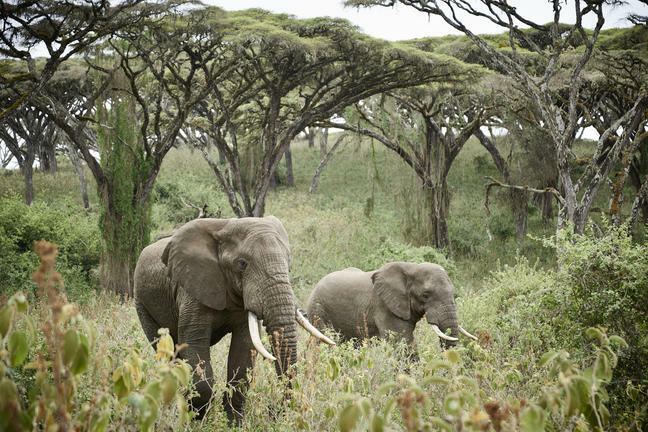 Game drives are conducted in the early morning and late afternoon in the Ngorongoro crater and on the rim. We offer one crater floor game drive per stay. 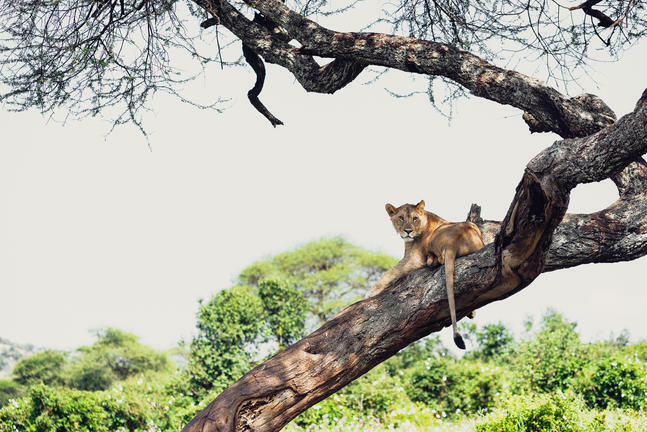 If guests are staying for 2x nights we will also offer a Lake Manyara National Park game drive on the second day. 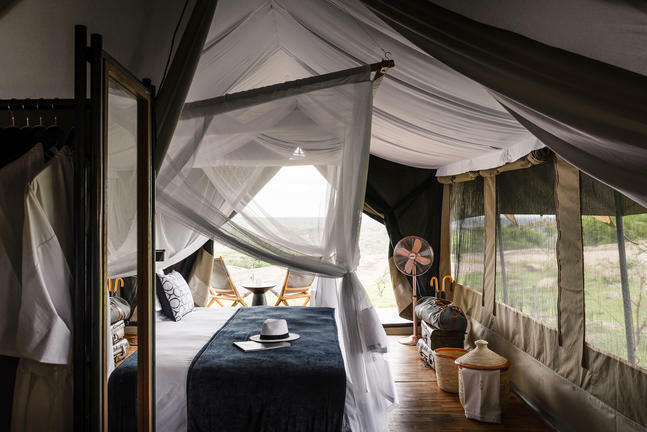 The Sanctuary Kichakani Serengeti Camp in Tanzania is based in two set locations across the Serengeti, and invites guests to intimately experience the movement of a million-plus wildebeest and zebra as they follow the fresh grasses across the Serengeti plains during the annual migration cycle. 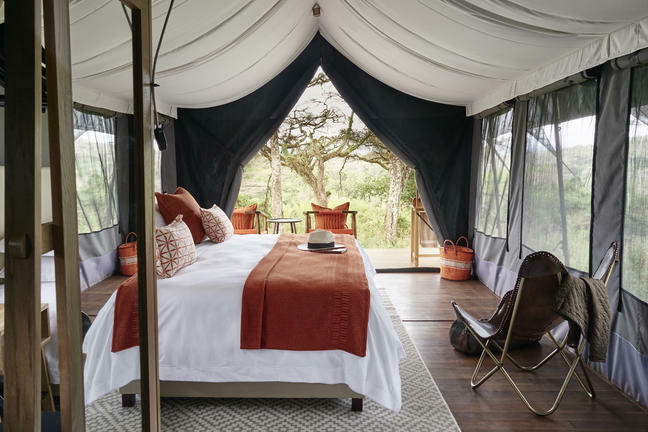 The camp is intimate, with just ten luxury safari tents, all with wooden decks, en-suite bathrooms and indoor bucket showers. 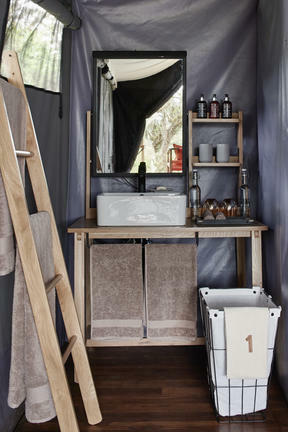 The tents are elegantly furnished with portable cabinets and desks and feature electric outlets and a hairdryer. The common area is made up of a central canopied area where the main tent flows into lounges, dining wings, and a bar, all with sides that can be opened to reveal panoramic views of the beautiful surroundings. 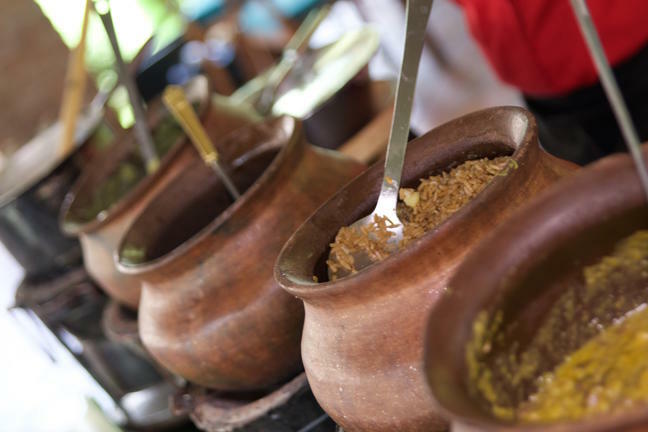 Meals are prepared by the camp chef and consist of international flavours and traditional dishes. Guests can go on full-day bush safaris and game drives with experienced guides, and bird watchers will be enchanted by the wide variety of bird species. 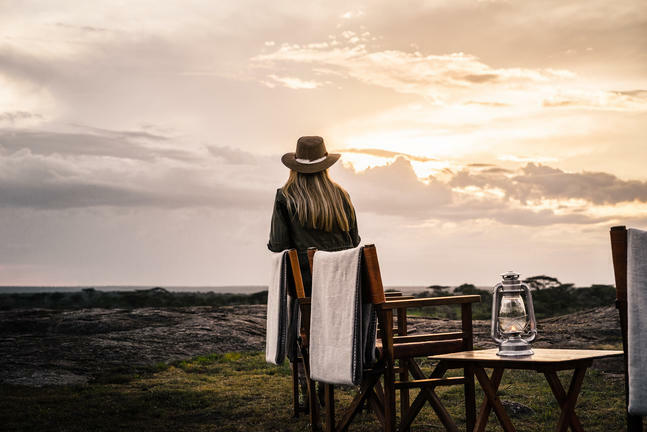 Sundowners are a must on any safari, and the perfect way to end the day and take some time to enjoy the magnificnet sunsets of Africa. 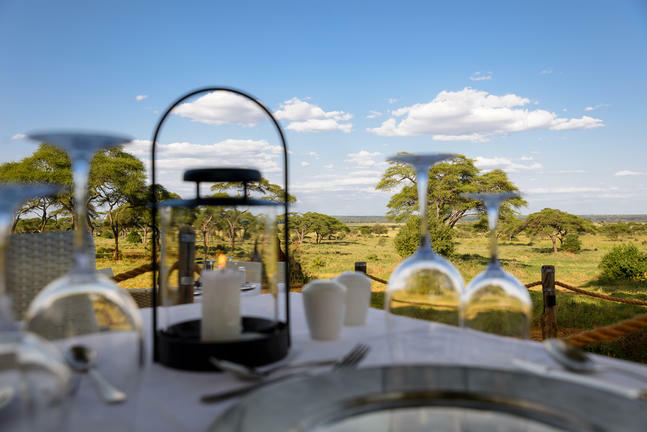 Enjoy a refreshing drink or a signature cocktail and scrumptious cocktail snacks as you celebrate the end of the day; all while being surrounded by thousands of wildebeest and zebras.